Best Free Antivirus Software - Is Free Antiviruses Worth it? Free Antivirus: Is The Price Worth The Service? There are a lot of digital dangers out there and even receiving an email without having set up your antivirus makes you more vulnerable than walking through a cactus plantation without shoes on. 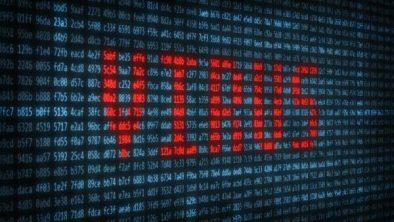 An antivirus is designed to sniff out malware and other threats to your device and remove them. It sounds simple but it involves some advanced and complex technology, so how come you can get it for free? Most companies making antivirus software have a range of other products available which, if you use free antivirus software, you’ll become very aware of. The majority of free antivirus offerings have frequent pop-ups and prompts urging users of their free software to upgrade to the paid version. Often, the upgrade makes sense, like with Avast, for example, which will identify problems affecting your device’s performance but then refuse to fix it unless you upgrade. Basically, free antivirus software gives you something, but not everything, for nothing, and then rubs the excess under your nose. But is it worth it? You’ll see a lot of articles about the 10 Best Free Antivirus Software, but are they really a good deal? For the best free antivirus software, we recommend Avast. Research released in March this year indicates that around two-thirds of the free antivirus software packages available for Android on Google Play are “ineffective or unreliable”. The report, published by AV-Comparatives, indicated that many free antiviruses would be incapable of identifying malware even if it came up and punched them on their virtual noses. Worse still, a number of those apps have been identified as “potentially unwanted applications” that could compromise your device’s security rather than enhance it. Despite this frightening introduction to the topic of free antivirus apps, there are actually some unpaid antiviruses that give you effective and reliable protection. Indeed, the main distinction between a free and a paid antivirus isn’t so much the level of protection as the scope of their extended capabilities. The best free antivirus software is capable of identifying and quarantining malware threats as quickly as any paid-for alternative, but that’s generally where it ends. It’s always a pleasure getting something you don’t have to pay for and the best free antivirus software packages, like AVG and Avast, will give you solid protection against a variety of threats, including malware and malicious websites. If you select one of the best free antivirus software products around, you’ll get comprehensive protection against malware, ransomware, and other malicious viruses. Although not all free antivirus software is as trustworthy as you might hope it to be, the best free antivirus programs not only protect against malware but also defend your device and private data against phishing attacks and spyware. Despite not charging you a cent for their services, some free antiviruses like Avast, throw in even more security tools for free, including an (admittedly rather limited) password manager and an ad-removing browser that gives you VPN-like protection for online financial transactions. Most free antivirus software is extremely lightweight, so you’ll hardly notice any impact on your device’s performance or available memory. Avast Free Antivirus, for example, only uses 9KB when idle, so won’t slow your device down. When it’s running a scan, that usage will increase to around 62KB which is still very manageable. There has to be a reason you pay for some anti-virus programs and not others, so it’s hardly surprising that when you pay for antivirus software, you get more and better protection. Paid versions usually include firewalls, fully function password managers, spyware, and performance optimization. Any free software tends to come with adware bundled in, often encouraging you to upgrade to the paid version of the product. Antivirus software is no exception and free antivirus programs tend to inundate you with pop-ups and alerts urging you to make a payment and upgrade. While an advanced paid antivirus will use advanced technology to detect suspicious behavior and prevent an attack, free software is aimed more at resolving the problem once it’s arrived. This can have a negative impact on your device’s performance and may eat into your working day. Unfortunately, even if you’re using a company with a fabulous reputation for customer support, if you’re not paying for their services, the chances are you won’t be given the VIP treatment either. Problems with free antivirus software often take a lot longer to solve because of the lack of direct technical support available to non-paying customers. Paid versions will get security patches and other upgrades long before their free counterparts, so offer a more robust, secure and advanced option. Avast is one of the top antivirus services on the market. Though they have a stellar paid service, their free product is quite good as well. Avast offers Double Shield protection which protects your computer’s built-in webcam from being hacked or spied on, as well as a ransomware shield that protects all of your files from being encrypted by someone who isn’t you. The free service is also scalable, and can be used for any size business. Read more about Avast Antivirus in our in-depth review, here. Sign up with Avast Antivirus. AVG offers two services, their basic plan, which is free, and their full, paid service. The free service is much barer than the paid, but it does offer protection from viruses, spyware, & other malware. It also detects and blocks any infected links, attachments, and downloads. AVG free antivirus also performs PC scans for any problems in performance, as well as real-time security updates. Read more about AVG Antivirus in our in-depth review, here. Sign up with AVG Antivirus. The best free antivirus software is good… but not that good. Yes, you’ll get some element of protection against malware and phishing, but you probably won’t get an inbuilt firewall, parental controls, ad-blocking, and a range of other features common in most paid-for security suites. While some argue that antivirus software is becoming superfluous to requirements, as criminals have become so advanced that malware and other bugs can be created and adapted so quickly, there is no way for even the best antivirus software to keep abreast of it. But is it a risk you’re willing to take, especially in a time when malware and cyber attacks are becoming increasingly common? Although free antivirus programs are somewhat more reliable than, for example, many free VPNs, they can’t offer the range of protection available with their paid-for equivalents. The best antivirus software performs a range of security functions above and beyond merely detecting and destroying malicious bugs. For example, Kaspersky’s Total Internet cybersecurity suite includes a firewall, parental controls to protect children from online threats, a password manager, and the means to back-up and encrypt your most sensitive files. Reliable antivirus software may not be the be-all and end-all when it comes to cybersecurity but it’s a useful tool to have in your box, especially with the incidence of ransomware attacks growing daily. To find out more about what a paid antivirus can do to protect you, read our comprehensive guide to antivirus software and cybersecurity. Most of us tend to have a number of sites we log into on a regular basis, each one requiring its own unique username and password combination. Using unique passwords is a great way of protecting your personal data as is remembering to update those passwords on a regular basis and not using the same one for multiple sites. Keeping track of these letter and digit combinations can become a bit of a headache, which is why a password manager can go a long way to helping you keep abreast of your security without compromising it. Emails with attachments that are coming from someone you’ve never heard of should be a red flag to any self-respecting internet user. While it’s safe enough to open the email, opening the attachment could be an open invitation to malicious infection so, even if it says you’ve won a million dollars, keep on the side of caution. Admittedly, some software companies are over-eager about their updates, seeming to need to provide a new patch every few days. Irritating though this may be, ignoring such updates is done at your own peril. Many software updates are designed to fix vulnerabilities and patch up any problems so ignoring them leaves you open to potential cyber threats. Losing all your data and personal files is never a pleasant experience, but it’s a lot nicer if you know you stored copies away last week. Ransomware can completely encrypt all your files, leaving you out in the cold, but if you’ve got a recent back-up you can restore, you can get rid of the ransomware using a good antivirus program, and then carry on having only lost a few days of data instead of years. Adverts not only consume data and slow down your browsing experience, but they are also one of the main ways of disseminating malware. Often, you don’t even need to click on the advert to become infected, so having an effective ad-blocker will not only keep you safe but also save you precious data and speed up your device’s performance. Tread carefully when you enter the world of free antivirus software because you can never be too sure if you’re looking at the genuine article or not. If you decide to opt for a free version, look for one with plenty of reliable reviews from reputable websites (like Secure Thoughts!) and longevity in the realm of cybersecurity. For example, Kaspersky has consistently proved itself to provide a reliable and effective antivirus service, so it should come as little surprise that it’s considered pretty much the best free antivirus for windows 10. When it comes to Mac, however, it’s a different story and that’s where Panda comes into its own. Although there are certain best practices you can put in place which will limit your online vulnerability and your device’s susceptibility to malware and other cyber threats, only a complete cyber security suite can really prepare you for the digital dangers of 2019. A VPN keeps you anonymous online, a firewall prevents unauthorized users from accessing your device, and an antivirus keeps it free of digital bacteria and viruses. While there are additional security features you may want to add on, such as parental controls and password managers, this tri-factor approach is the foundation of safe browsing. Don’t forget that, while a lot of protection can keep you safe, just as a coat of armor would, too much will similarly make it impossible for your device to function, so keep it light and functional and add an extra layer of protection by using your common sense online and implementing safe browsing practices.